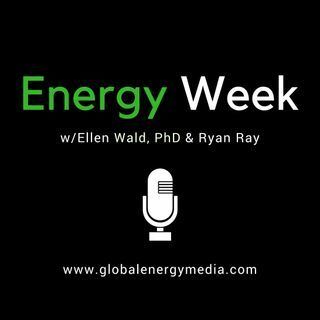 Ryan and Ellen discuss all things southern hemisphere, plus electric vehicles, and speak with Dr. Dean Foreman, of the American Petroleum Institute. Show notes and articles below. Price cut in direct response to ending the federal tax credit, shows that the tax credit was really designed to help the company and not the consumer. Columbia seems to be benefitting from the oil sanctions on Venezuela and is selling more of its Castilla Blend to U.S. refineries like Citgo and Valero. Total discovers oil off of South Africa and plans for more! Will be interesting to see how South Africa develops its oil reserves. Will they rely on other oil companies or will it develop its own national oil company? Strongest gasoline demand in January since January 1945 - Why? Last year we had pretty strong demand across the board. This increase is seasonal. Diesel fuel/distillate is actually down 3%. No evidence that partial government shutdown had any impact on gasoline demand beyond the DC area. Petroleum exports decreased - sign of slowing demand, but could it actually be due to Mexico’s import stoppage? How long will we be feeling the impact of Mexico’s decision to halt gasoline imports and likewise, how to see the halt on all exports to Venezuela continuing to impact U.S. refining and petrochemicals? Pervasive issue - both crude and products. More on refined products side. Corroborating factor is global shipping index (Baltic Index). Price of shipping dropped by 50% in one month. Something last seen during financial crisis. Even if US demand is looking solid, global demand is down. When are we going to see this ripple through US data? US inventories are actually 5% higher than 5 year average. But refinery throughputs are still at record levels. If demand in exports start to weaken we will see impacts in US storage. Indicators saying industrial production in the US is going to slow. Rig counts: As we move through this year how do we judge rig count and production? Need to look at production per rig. 8,600 DUCs as of the end of 2018 - Even if we get a pullback in production, backlog of DUCs will keep production high. This is why despite flatlining drilling, production is still high. Productivity has been great but this will stop improving at such high rates at some point. Natural Gas: from a pricing standpoint is it at a heavy spot? Challenge is that as production increases, costs will increase because natural gas resources will be less accessible. Minor warm spell brought prices down significantly at Henry Hub. Sign that productivity is still there and deliverability is so easy - Marcellus share can have wells from beginning to gas flowing to consumers in weeks (not months). Impact of tariffs on natural gas costs: does impact pipeline costs but larger impact on LNG projects. Gasoline prices down but crude oil is up - is this a holdover from the drop in oil prices we saw in December? Other explanation? Timing difference between when crude purchased and when goes into the refinery. High correlation between gasoline and crude oil prices but its not exactly correlated. Record drops in oil prices in December and have now rebounded but are still considered low. Less expensive oil going into refineries, refineries running flat out to produce product. EIA says we are on a path to become a net exporter but that’s not a this-year thing.